Alex Warner formed AW Football Coaching in 2010 after returning from a five-month stint in Africa which included coaching in Tanzania. Prior to his trip in Africa, Alex had worked for some time mainly with Culverley Rangers based in Catford South East London and had undertaken work teaching sport at the Phoenix Centre in Longfield, a permanently excluded school for 11-16 year olds. Alex is coaching upwards of 250 children a week, including his schoolwork at Saint Fidelis Primary School in Erith. From these classes, Kingsdale Juniors was formed in 2012 and now have eight teams in the under sevens to under tens Selkent Leagues operating out of the fantastic Haberdashers’ Aske’s Academy in Crayford. As well as his work with Kingsdale, Alex has also spent a year working at the Gillingham Elite Development Centre within Dartford, with two of his group being offered a place within the Gillingham under nine academy team for the season 2016/17. Alex then moved onto the Welling United Academy and worked with the very successful under nine team, who took part in the elite player development scheme, playing league teams such as Milton Keynes, Oxford and Wycombe to name a few. Also for the 2015/16 season, Alex became a part of the Rondos Academy Team, a centre of technical excellence, working at the centre based in Darrick Wood, Orpington. He’s formed a new love for the Rondos style of football and AW Football and Rondos have developed an exceptional relationship, with six boys from the soccer school going into represent Rondos in tournaments both at home and abroad. 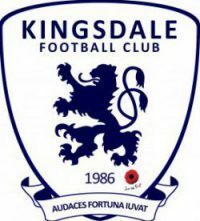 Alex and Kingsdale have formed a unique relationship with Chelsea FC which sees one team each year go to the Cobham training ground to take part in a round robin tournament. This affiliation has grown stronger with Kingsdale coaches and players being invited to watch training games and coaching sessions within the training ground. Coach Alex has known Jack since the tender age of five, through following Welling United Football Club fast forward 12 years and Coach Jack joined AW Football in October 2016 as an apprentice and started off by observing sessions and learning to coach children of the young age we deal with on a daily basis, the right way. He clearly took all of what he had seen onboard and started to take small parts of the sessions, such as the warm-up and the cool down, and from there we have seen his confidence grow tenfold. Jack now delivers full sessions and is a massive part of the AW Football family. Our job focuses on children progressing and developing new skills sets and it’s amazing to see that coach Jack develop into a fantastic coach and great teacher to children of all ages. As AW Football looks to grow for the 2018/19 season Jack will be instrumental in this and will be delivering more and more sessions on his own. For 19 years of age coach Jack has a big future ahead of him in the game and we are glad it’s with AW Football.